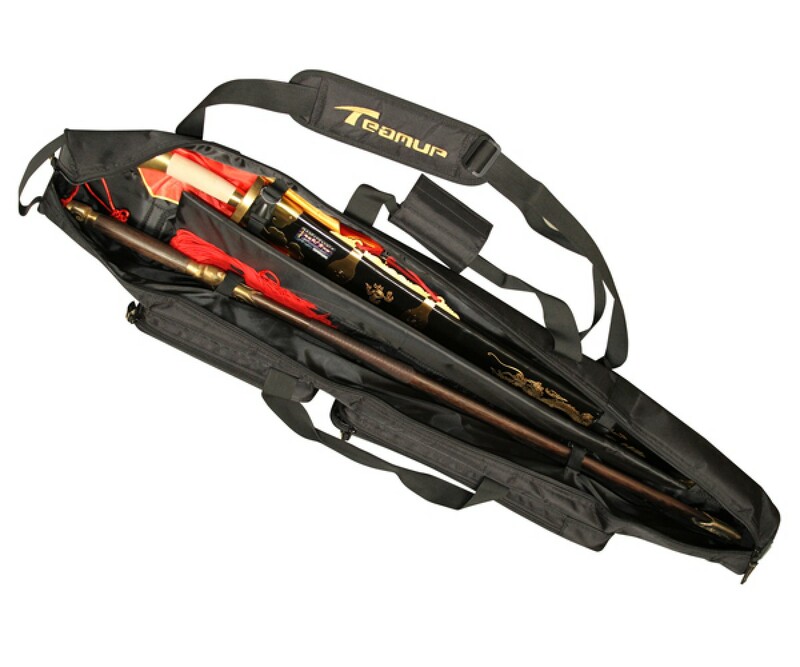 Made out of 1690D Double-Stranded Oxford Fabric (a strong tensile strength and abrasion resistance, noble luster) with PVC Coating making this Weapon Carrying Bag strong, durable, and resistant to wear and tear and also waterproof. 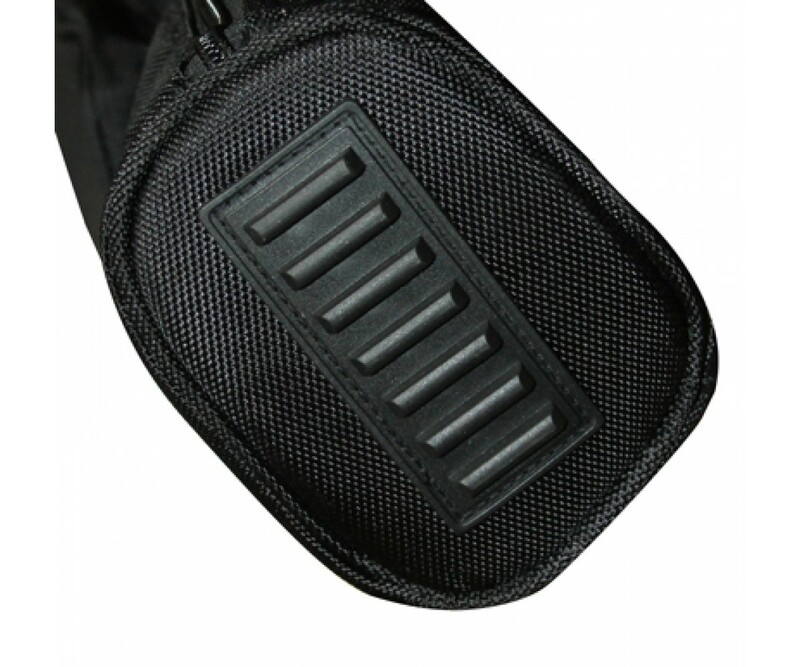 The very bottom of the bag contains a strong rubber padding to prevent damage from long time use. Interior: The bag has thoughtful interiors with organizational features, pockets, tie-down straps and more. 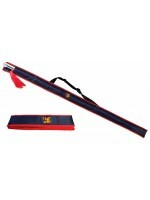 The interior of the bag has thick internal padding to protect all your weapons. 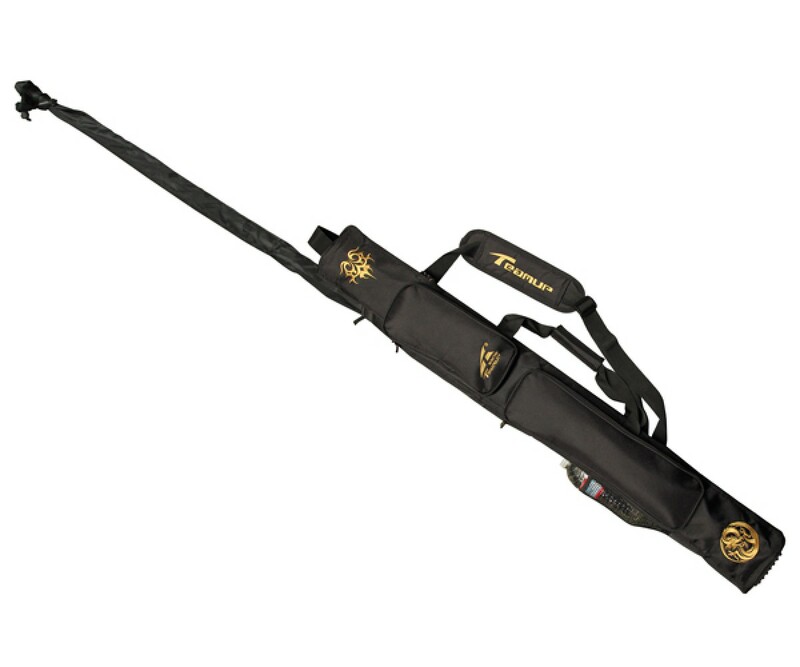 It also has buckle straps to hold your weapon in the right position and also contains a bottom net pocket to hold the bottom of your weapon to keep it in place. There is a thick padding divider to separate and protect weapons from damage. Exterior: Exterior has pockets and organization features for things such as phones, bottles, chain whips and many more items. 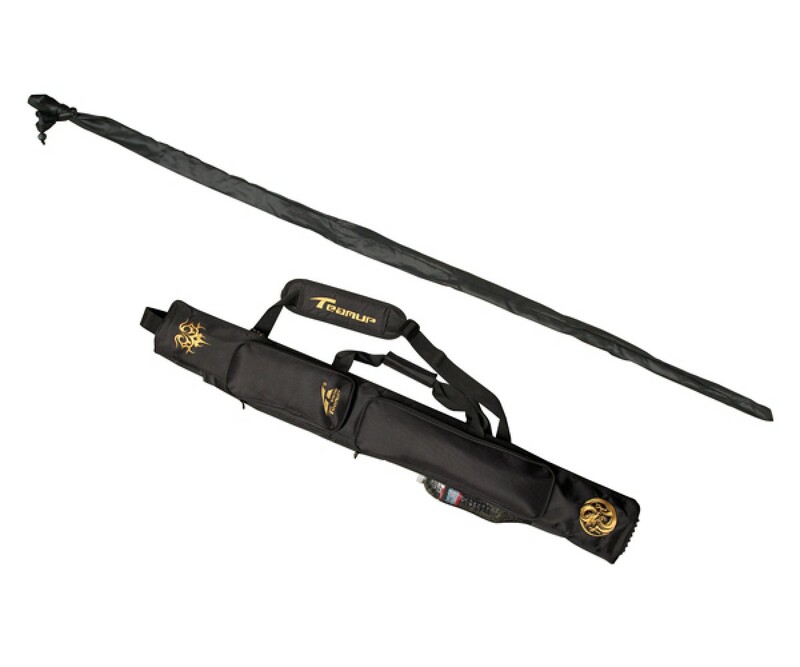 The exterior also has additional zipper with sturdy compartments to hold such things as kungfu fans, nun chucks or shorter weapons. All exterior compartments have additional padding to protect your items. On the side of this bag, there is an additional net pocket to hold water bottles. 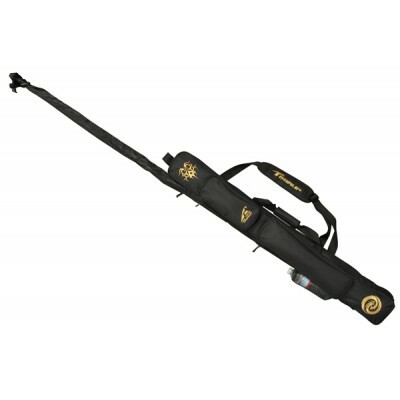 This bag comes with a long Nylon bag for your spear or staff with a special compartment on the side for you to place it in with Velcro closure. 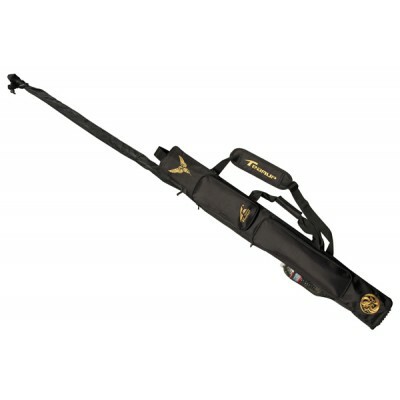 When not in use, you can place the spear/staff bag in the side compartment with the Velcro closure. 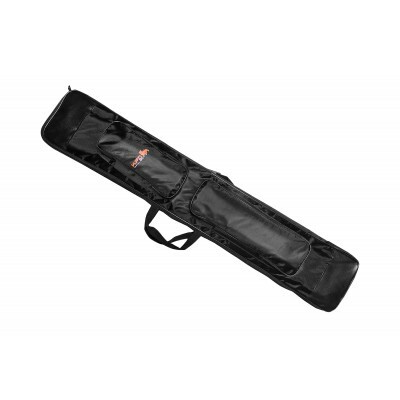 This bag also features a moveable handle strap for balance when holding the carrying case with Velcro strap closure. 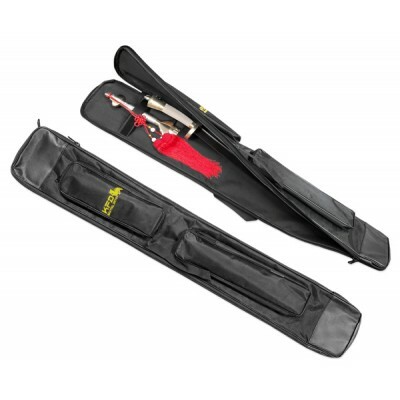 High quality weapon bag with separate compartments, two accessory pouches on the front of the bag, a.. Here's the details:Durable 600-denier fabric sheds weather and impact damageHigh-density foam absorb.. This bag is features a small front pocket, and adjustable shoulder strap. 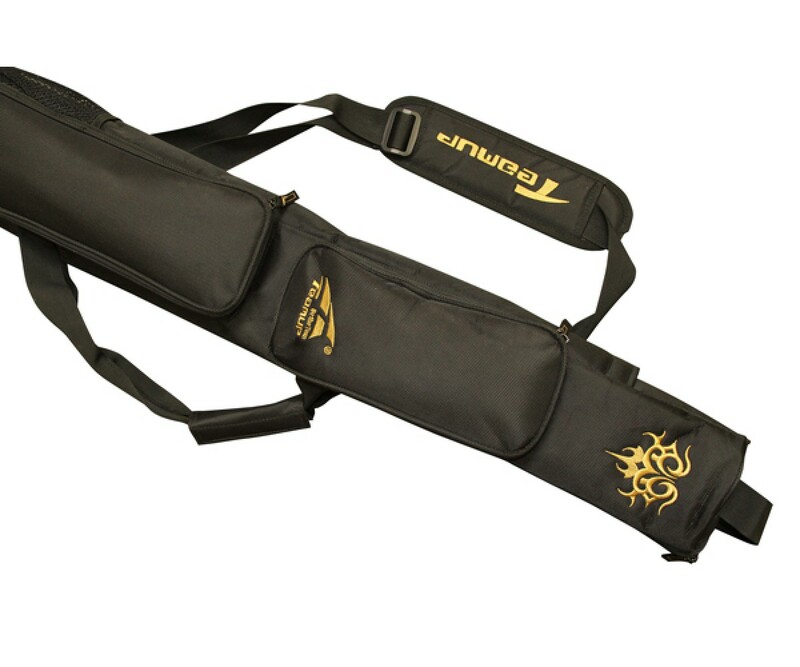 Bag length - 43..
AC023 - Premium Phoenix Design Martial Arts Weapon Carrying Bag Double Layer&nbs..
AC024 - Premium Phoenix Design Martial Arts Weapon Carrying Bag, Single LayerDim..
AC025 - Premium Phoenix Design Martial Arts Weapon Carrying Bag, Double LayerDim..